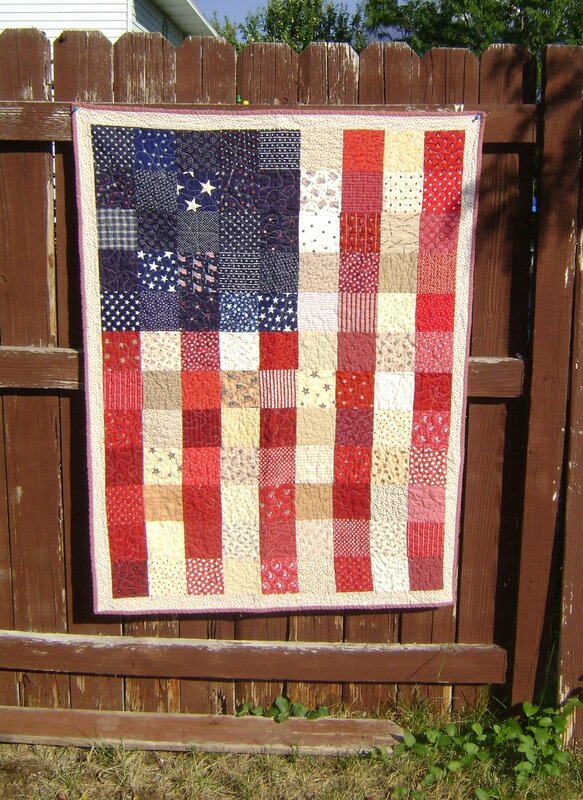 Here's a fantastic quilt idea from Diary of a Quilter to take you from this Memorial Day Weekend to the Fourth of July! Time to start digging through your fabric scraps! According to Amy, she used 4" squares (cut 4 1/2"). Then laid it out 9 squares across by 12 down. I am definitely going to have to try this one! Thank you to all our service members near and far, present and gone for helping to protect our freedom (especially my late father). Have a fantastic and safe holiday weekend!